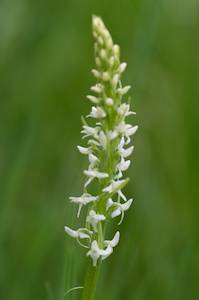 There are at least two "bog orchids" in Yellowstone, Platanthera dilatata ("Tall white bog orchid", or "Scentbottle") and Platanthera hyperborean or Platanthera huronensis ("Green bog orchid"). 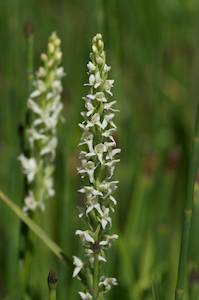 One orchid expert says that the green and white bog orchids intergrade and are difficult to identify definitively (see Case, 1987, Orchids of the Western Great Lakes Region). The intergrading explains why we amateurs are confused. 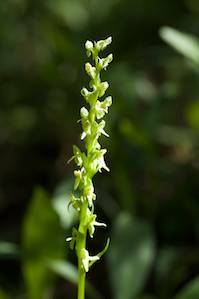 Others say that Platanthera huronensis (also called "Green bog orchid") and Platanthera aquilonis (called "Northern green orchid") likely exist in the park. 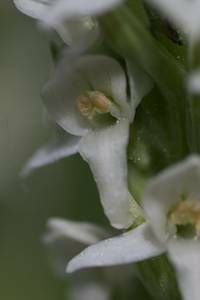 Platanthera aquilonis is difficult to distinguish from Platanthera hyperborea, and is classed as Platanthera huronensis by the Washington Herbarium. Because I am an amateur I put an assortment here on one page. Judge for yourself how many varieties are there. 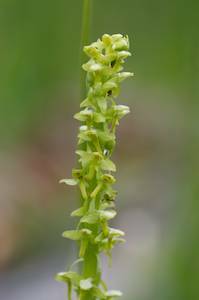 Locations: Found in many wet locations, streamside, and around small seeps. Here is a partial list: Apollinaris spring (between Mammoth and Norris), trail to Mystic falls, trail to Fairy falls, near Warm Creek picnic area, along the Gibbon River (access from one of the pullouts people use to go to the river to fish), Natural bridge trail, Old Faithful area along the Firehole River near the footbridge closest to OF Lodge, Blacktail Plateau Drive in the ditches as you descend from the top, along the trails near Heart Lake (backcountry). 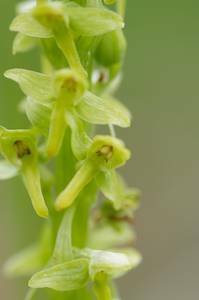 Always look for both green and white varieties after finding one..
Blooming: Third week of June to late July, depending on location. 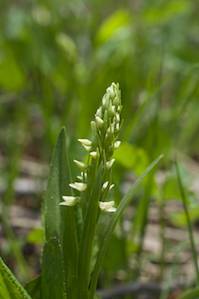 Sunnier and warmer locations bloom earlier. 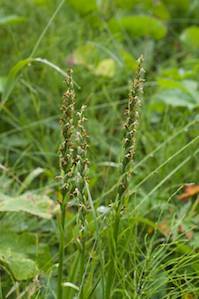 Seed pods visible from the previous year. 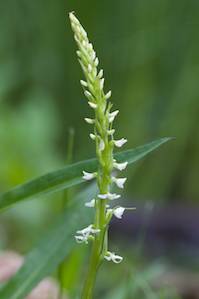 Sniff test: The common name "Scentbottle" says it, at least for the tall white bog orchid. Fragrance is stronger in the morning it seems. 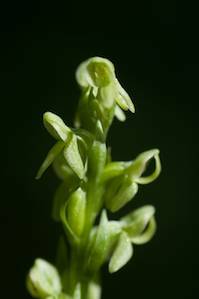 The green ones sometimes have a fragrance.